He's the founder of MemberMouse and a very successful entrepreneur himself. The conversation that emerged is one of the most valuable podcast episodes I've ever been a part of. Things I've never shared anywhere before! It really created a powerful audio piece. 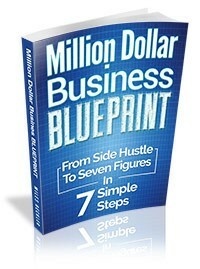 Full of lessons about business, entrepreneurship, life, success and more. So, click here, now and take a listen! Be sure to leave us a comment on that page letting us know what you think! 2019's Best Email Marketing Strategy - How To Stand Out & Cash In!